Did you have chicken pox as a child? Did you take tons of baths with ground up oatmeal powder (colloidal oatmeal in stores) to help deal with the itchiness? I sure did! I still remember smooshing the clumps of ground oats in my hands. Oatmeal baths have been used for ages as a chicken pox remedy but that’s not all it’s good for! Oatmeal baths can be used to help soothe the skin anytime; whether you need it because of chicken pox, dry skin, eczema, or even poison ivy! Colloidal Oatmeal is a natural remedy ingredient that everyone should have on hand! You could buy colloidal oatmeal in stores but you are going to pay much more than if you made it. Colloidal oatmeal is incredibly easy to make and dirt cheap! Are you ready for this mind blowing tutorial? You’ll need rolled oats and a blender. Yeah, that’s it! 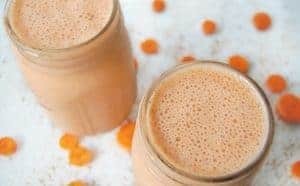 Just blend your oats in a blender until you get a nice fine powder and you are done!! Now you can soak away with just the colloidal oatmeal but why stop there when you can some other soothing ingredients? 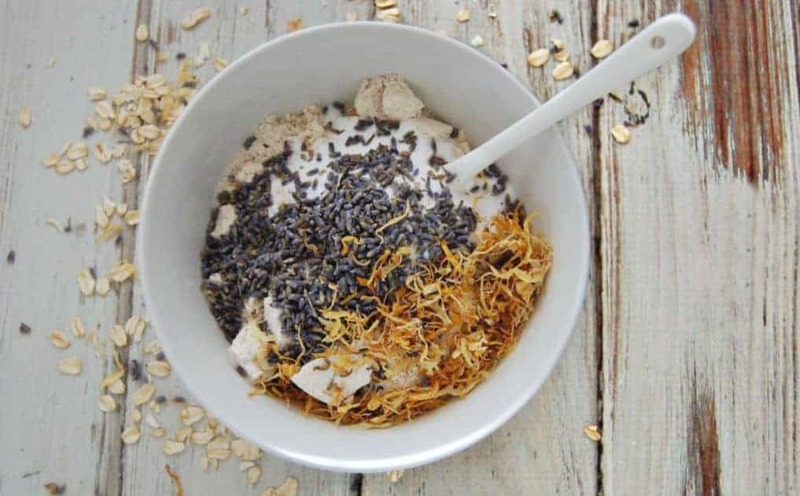 This lavender calendula oatmeal bath is my favorite way to relax and soothe skin and it’s just as easy as blending oats. 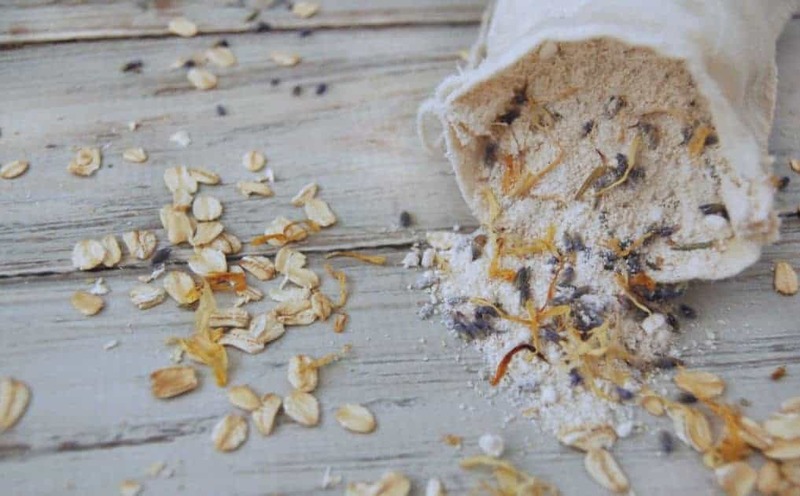 Ground oats are the bulk of this bath recipe for its ability to soothe and moisturize the skin. 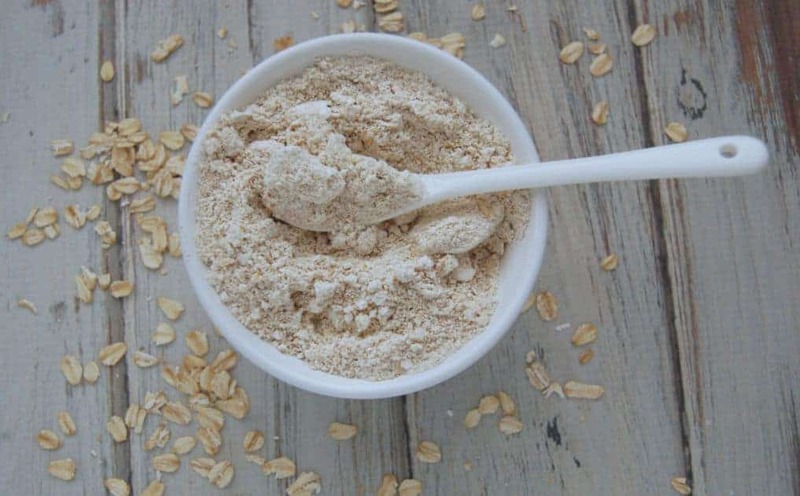 Oats also gently cleanse the skin. You can buy colloidal oats but it’s so easy to make your own and you’ll save money. 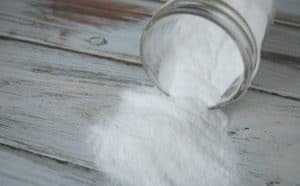 Baking soda is added to the recipe because it can help clean skin, balance ph levels, and prevent flare ups for those dealing with eczema. Lavender is popularly known for its calming abilities (usually in regards to sleep) but lavender can help calm the skin as well thanks to its anti-inflammatory properties. You might have noticed that many store bought lotions and creams for eczema or dry skin include calendula. This is because calendula is amazing for soothing skin by helping heal skin from rashes, eczema, and any minor cuts or abrasions you might be suffering thanks to dry skin. In a small mixing bowl, add ground oats. Store in an airtight container until you are ready to use. Simply add 1/2-1 cup of the mixture to your bath and soak away. 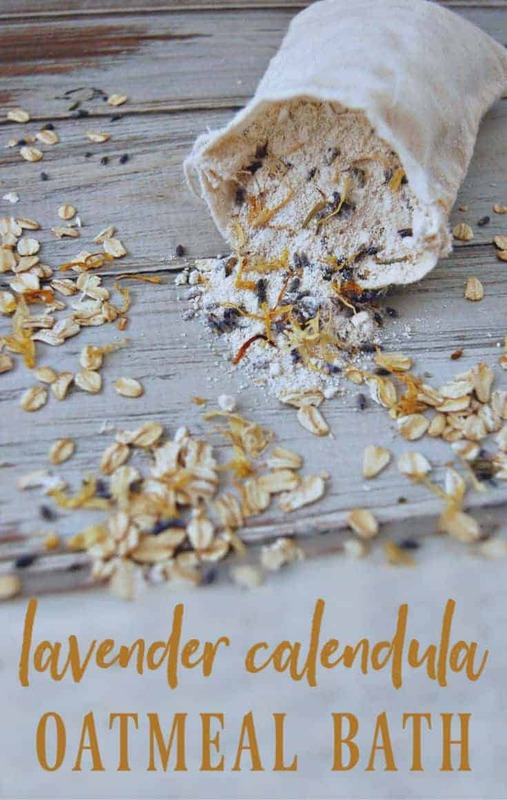 Note: The lavender and calendula will float so if you (or your kids) do not enjoy soaking with flowers, you can add the mixture to a muslin bag before adding it to the bath water. Using a muslin bag makes clean up a bit easier as well. Dealing with eczema? You’ll want to learn these natural remedies for eczema. I’ve always been too chicken to include baking soda in my baths, soaks, etc. I have very sensitive skin so I’ve been worried it might irritate me, even though I’ve never had problems working with it to clean. I really need to actually give it a try. 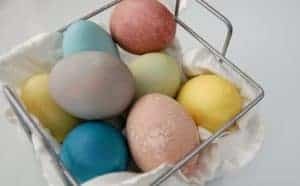 A recipe like this with so many soothing ingredients would be the perfect opportunity for me to actually use some baking soda in the bath! It seems scary but it’s great. I’ve used baking soda to treat my baby’s super scary diaper rashes before and they loved it.